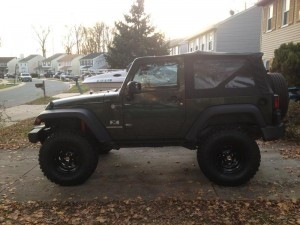 Finding the perfect size tires for your Jeep Wrangler JK can seem difficult, since you don’t want to buy tires that won’t fit, and you don’t get a chance to see if they fit until you’ve bought them. 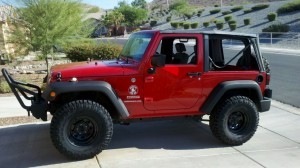 Luckily Jeep JK.com is here to help you in your selection of rubber. 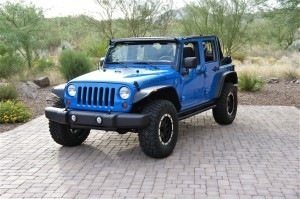 We’ll let you know what fits and what won’t, then it’s up to you to decide on the manufacturer and model of tire that you’d like. 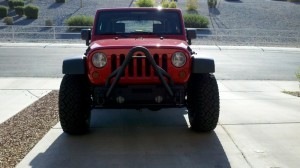 The Jeep JK makes it easy to fit larger rubber with a limited amount of lifting. 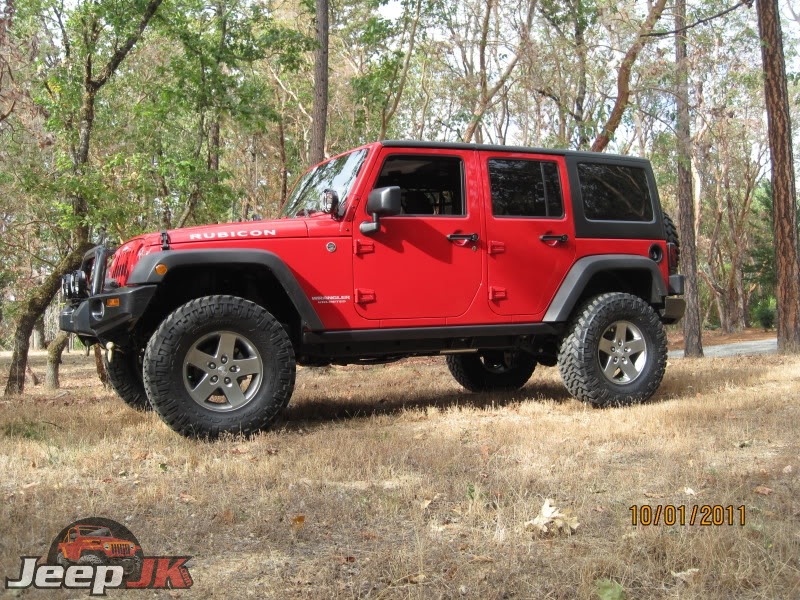 The JK in stock form will easily fit 32″ tires (32 was the largest tire size available from the factory). 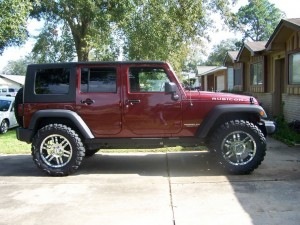 0″ of lift will allow you to safely run 32 inch tires. If you’re willing to do some trimming you may be able to make a 33 fit. 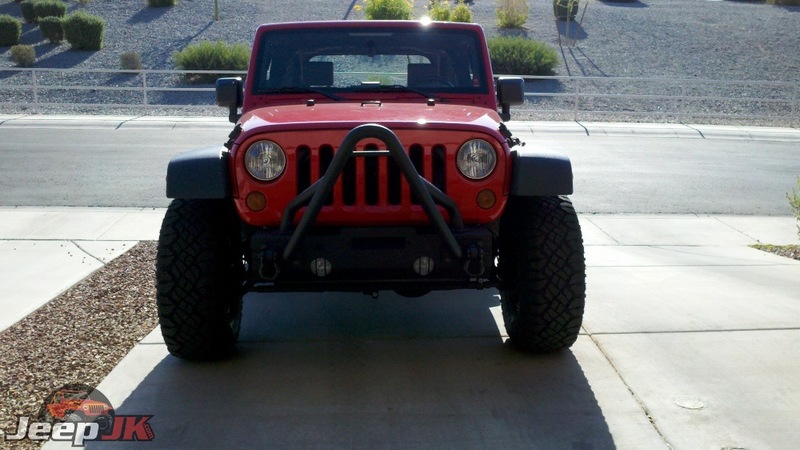 While a 35 may technically fit, you’ll end up rubbing your tire. Stick with a 32 or smaller when you don’t have a lift. 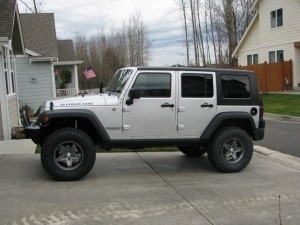 1″-2.5″ lifts will allow 33″-35″ tires with little or no rubbing. 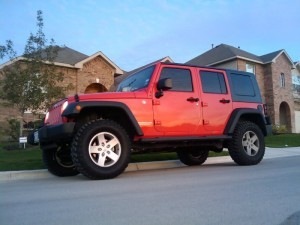 3″-4″ lifts will accommodate 35″-37″ tires more comfortably, or you could install a 2″ budget boost and 1″ body lift. 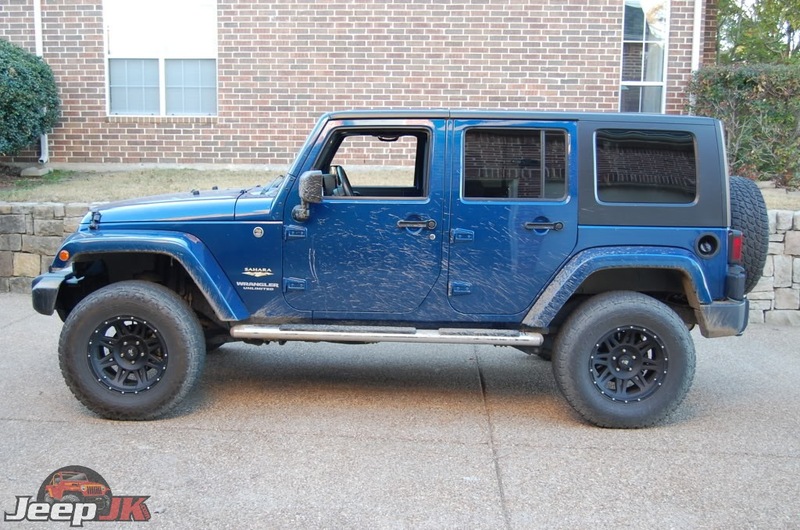 A wheel backspacing of 4.5″ or less may be needed on 35″ and larger tires to avoid rubbing the frame and other chassis components. 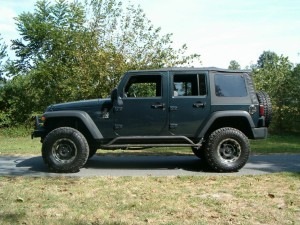 When adding larger tires this will effect your speed (larger tires will make your engine work harder). 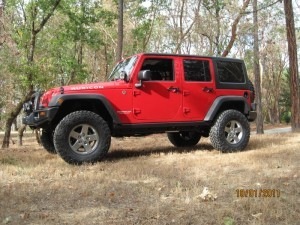 The answer to this it to regear your JK. 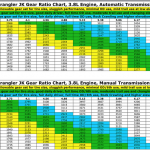 Here are some optimum gear ratios. 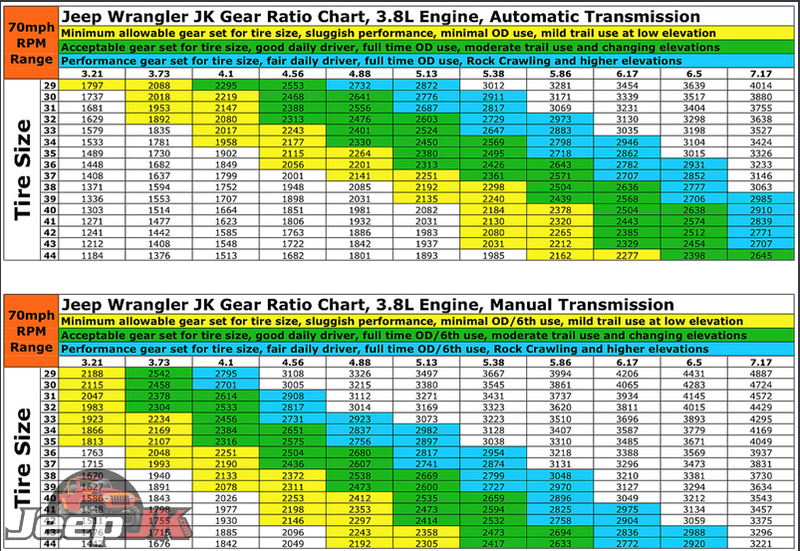 Your dealership can calibrate your JK’s speedometer up to a 32″ tire. 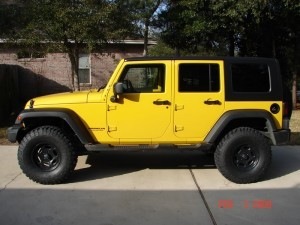 If you have larger than 32″ tires. 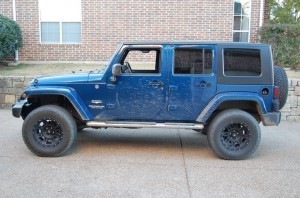 If you’re going to run 12.50 inch wide tires, you’ll want wheels with at around 4.5 inches of backspacing (more than 4.75 inches and the tire will rub the frame, less than 3.75 inchs and the tire will stick out beyond the fender flares.